And the CEO of the 21st century is . 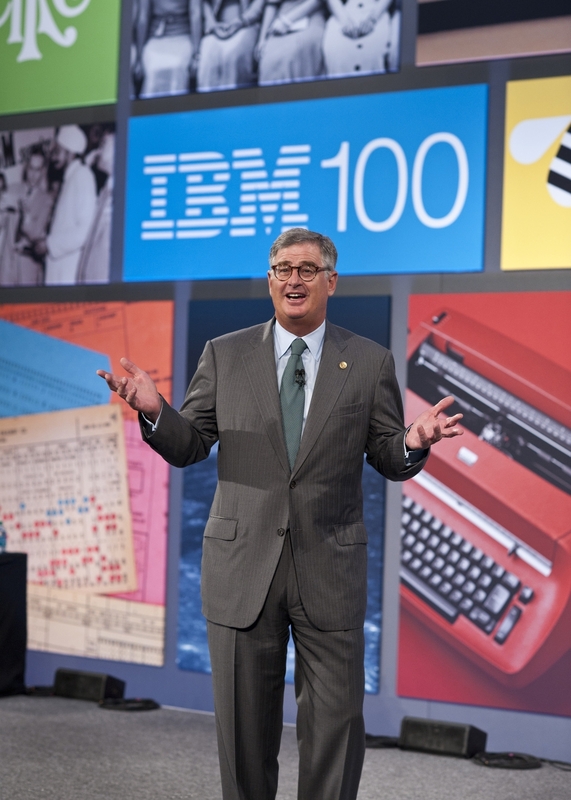 . .
Sam Palmisano, who vacated the CEO slot at IBM (s ibm) on Jan. 1, is the CEO of the 21st century, at least according to one business luminary. In a blog post, Harvard Business School professor and former Medtronic (s mdt) CEO Bill George posited that only Palmisano set the standard of how business is done in this century. GE’s (s ge) Jack Welch, GM’s (s gm) Alfred Sloan, and HP’s (s hpq) David Packard and Bill Hewlett would have qualified for this distinction for the past century, George wrote. But this time out, it’s just Palmisano. While Palmisano is an obvious candidate, it’s a tad early to start a coronation. Some would argue (passionately) that the late Steve Jobs, who engineered and maintained Apple’s (s aapl) turnaround, is equally worthy. Others might say Facebook’s Mark Zuckerberg deserves a mention, although Facebook’s private status could ding him. Or perhaps Google’s Eric Schmidt, who ceded his CEO duties to Larry Page in Jan. 2011. Some might even say that Page himself deserves a look, although the suggestion that Page was the CEO of the year was met with disbelief here at GigaOM. Palmisano, an IBM lifer, took the reins from Louis Gerstner in 2002 and turned them over to Virginia Rometty early this year. George’s rationale for his Palmisano pick? The real story behind IBM’s success is the course Palmisano set for 21st century global enterprises. Recognizing that the company’s command-and-control culture wouldn’t work in the 21st century, he defined leadership as leading by values and created a unique collaborative organizational structure. George cited Palmisano’s long-term view, pragmatism and open style. The fact that IBM is so huge — 440,000 employees in 170 countries — is a factor, clearly. And many IBM watchers agree that Palmisano’s software-and-services vision helped the company lessen its reliance on big, expensive iron and helped it segue into the cloud computing era. But IBM also faces its share of challenges. we know IBM is a big company with tight financial discipline, an admirable feat. But IT moves fast. Let’s wait a couple of years to see if Palmisano built something that lasts or was actually running the company for an EPS target. While it’s way too early to crown anyone yet I do agree that Palmisano deserves more consideration than some of the others mentioned. To be an excellent CEO should mean building a sustainable company that can continue to succeed throughout the century. For all his brilliance, I’m not convinced Jobs did that and it’s way to early to figure out if Zuckerberg will be able to. yeah i think the jury’s still out on zuckerberg. there are some pretty conservative people (not fanboys) who would argue for jobs — not sure i agree there either.